Cool Japan Design features the graphic design of merchandise of Japanese manga, animation and movies. 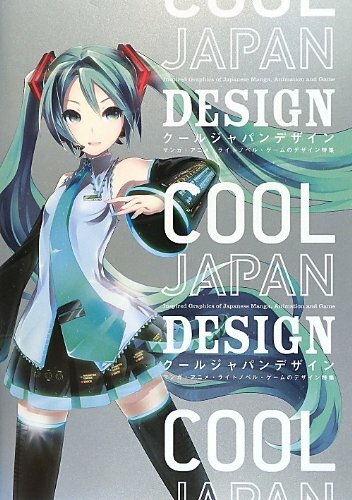 It's a book that should be interesting to graphic designers and those into Japanese pop culture. It's a 224 page paperback published by PIE BOOKS. Text is in both Japanese and English. The type of merchandise included are discs, books and other promotional materials such as toys, display stands, posters, etc. The amount of work showcased is incredible, and this is definitely just a small subset of what's available in the market. I hope they released more volumes in the future. I really enjoyed going through the diverse variety of style. They are all distinctly Japanese style, but each title has their own unique style as well. There's a good mixture of examples from the current and past. You'll see vocaloid Hatsune Miku, Gurren Lagann, Evangelion, Akira (1988), Inoue Takehiko's Vagabond and a whole lot of stuff. I've mentioned only the more popular titles but the rest, the bulk, are dedicated to lesser known ones. All titles featured have a short profile written. If you're a graphic designer in the comics or animation industry, the pages of example are on how to package and present your product, and on using illustrative art for promotion. It's a great book for reference and inspiration.